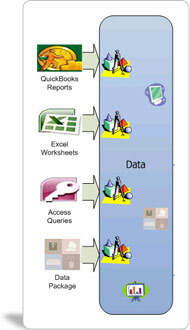 CleverQ™ Software makes managing data from virtually any source easy and intuitive. Data can be easily stored and organized, programmatically controlled to highlight threshold exceptions, and presented to fit specific business processes and metrics. 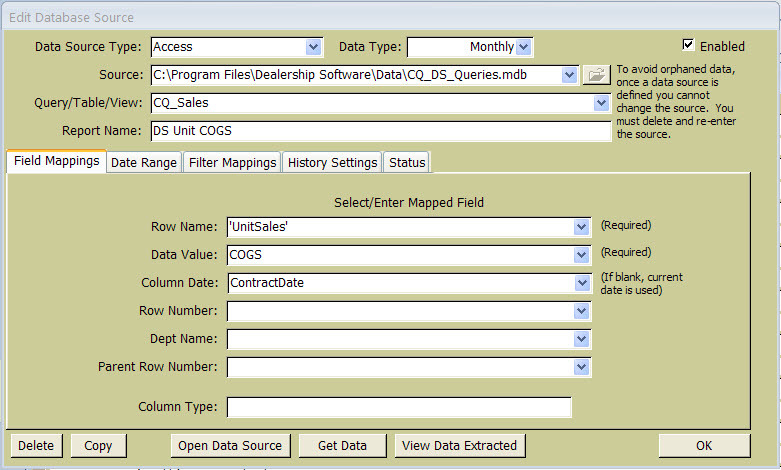 Combining information from multiple sources such as Microsoft Excel®, Microsoft Access®, QuickBooks®, ODBC connections, or manual entry via the CleverQ™ Data Package Creator is a snap. 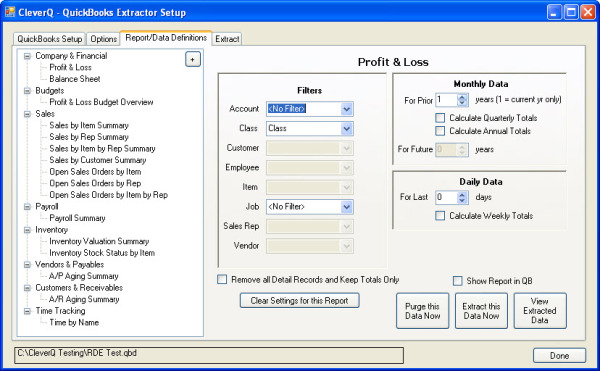 CleverQ computes and imports daily, monthly, Quarterly and Annual data totals while mining data. Electronically store data from multiple sources – CleverQ™ Software collects and organizes a wide range of data for future analysis and reporting. CleverQ™ Software’s Data Scheduler can refresh data in real time (as little as 1 minute intervals) and calculates seasonal trends from your historical data. Data is stored in the user’s choice of the built-in & secured Access based data file or SQL Server Database.